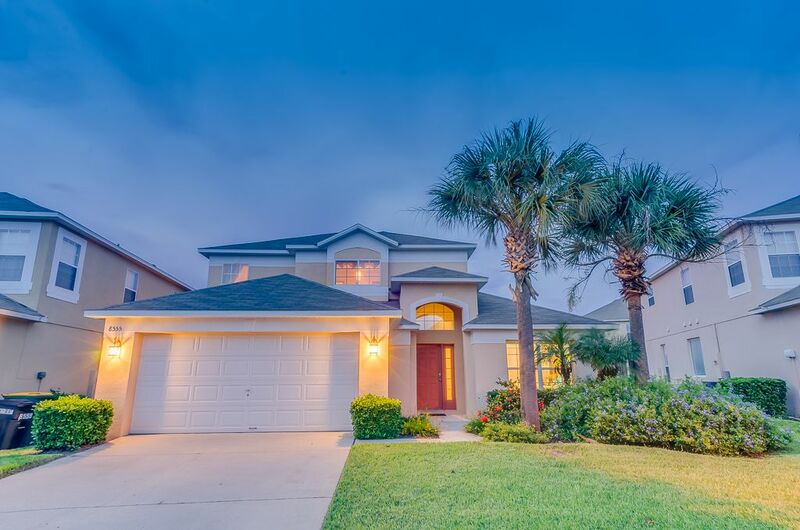 This 5 bedroom 3 bathroom villa is located on the gated community of Emerald Island and will accommodate up to ten guests in comfort. 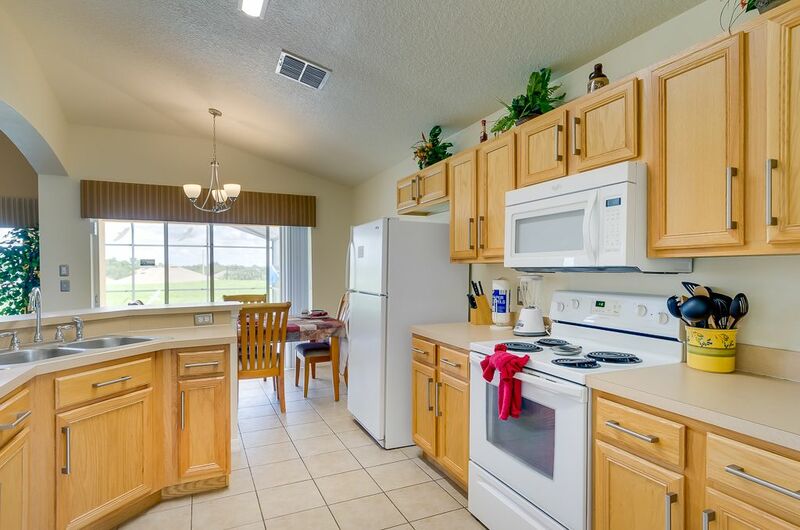 The home is equipped with everything you will need during your stay and the fully equipped kitchen comes complete with all modern appliances and overlooks a dining table with seating for four guests. 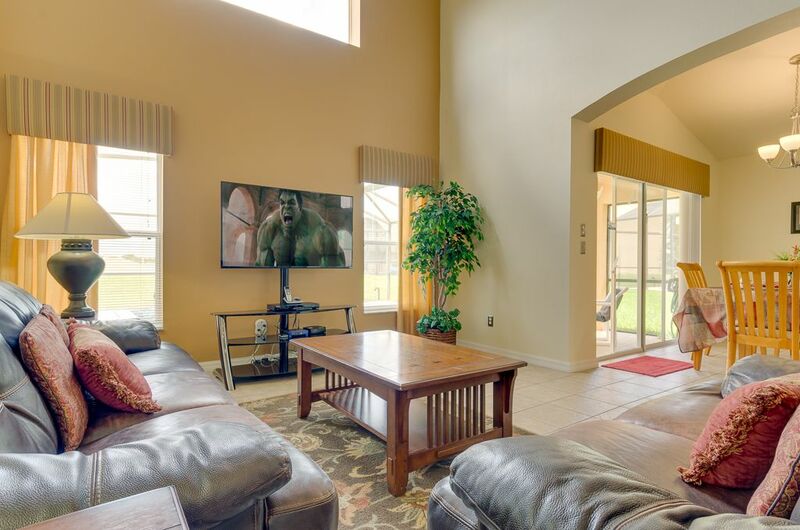 The main sitting room features a large flat screen television. 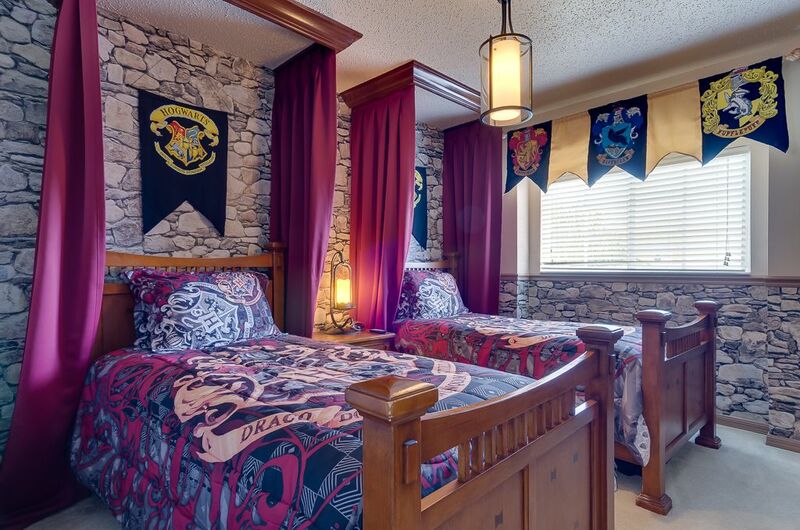 The bedrooms consist of two king rooms, both ensuite, one located on the ground floor and the other located upstairs. 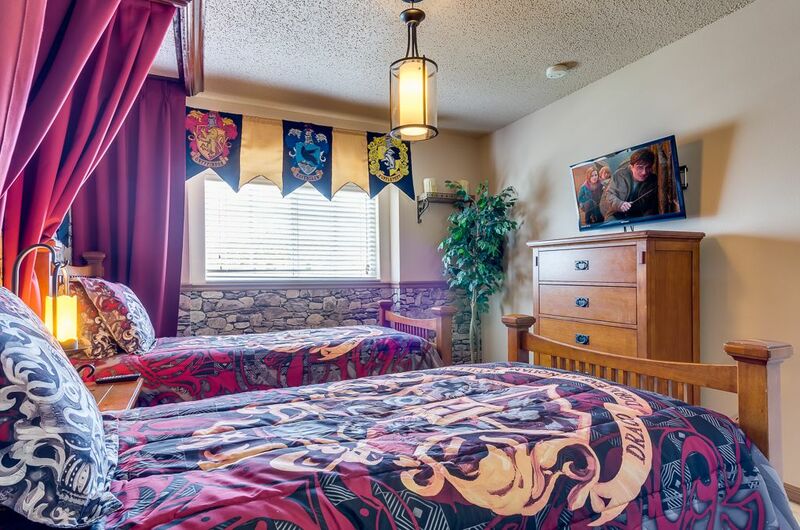 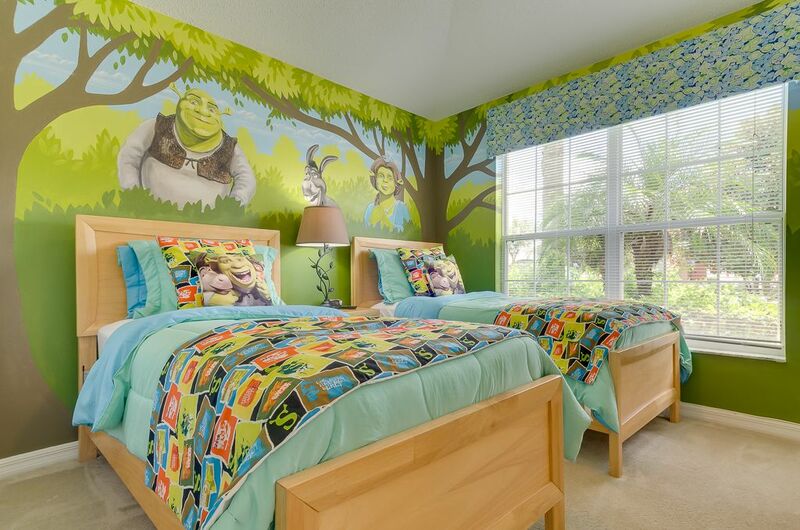 There is a queen room and two twin rooms that are Harry Potter and Shrek themed. 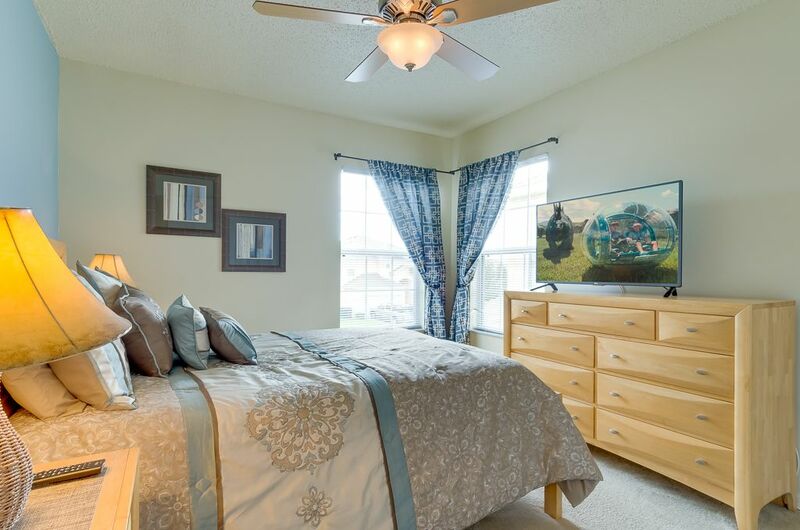 Televisions can be found in all of the bedrooms. 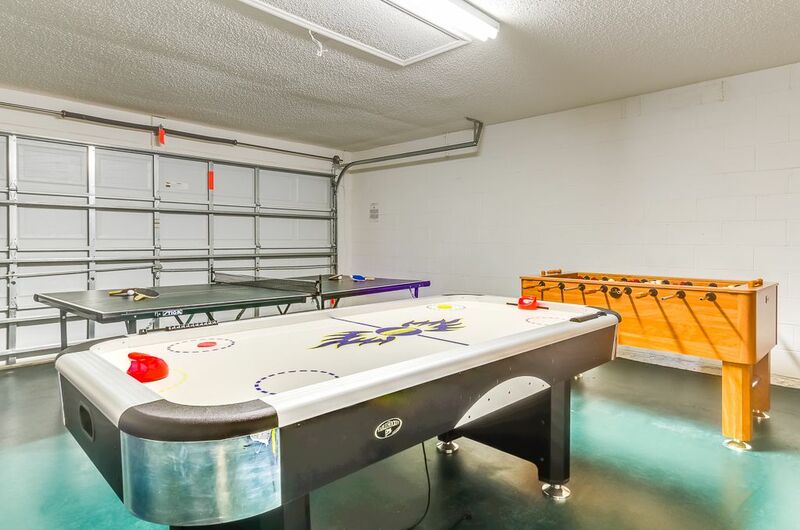 There is a games room located in the garage with a football table, air hockey table and ping pong. 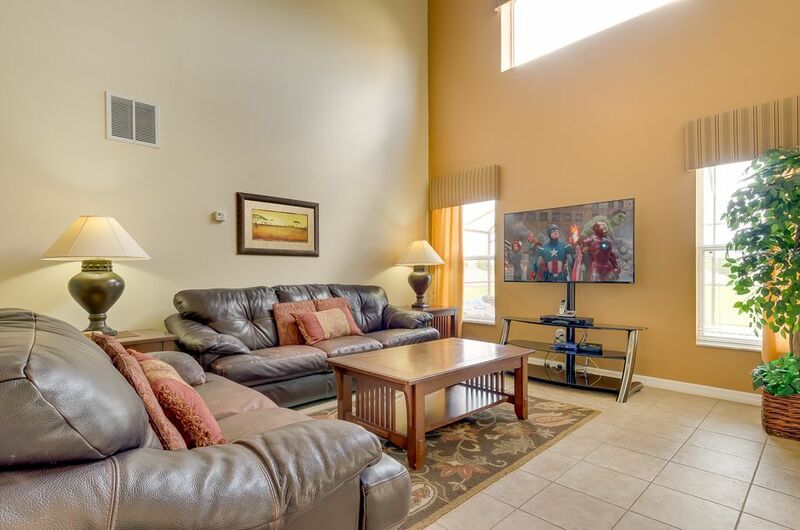 Internet access is available within the home for guests to use. 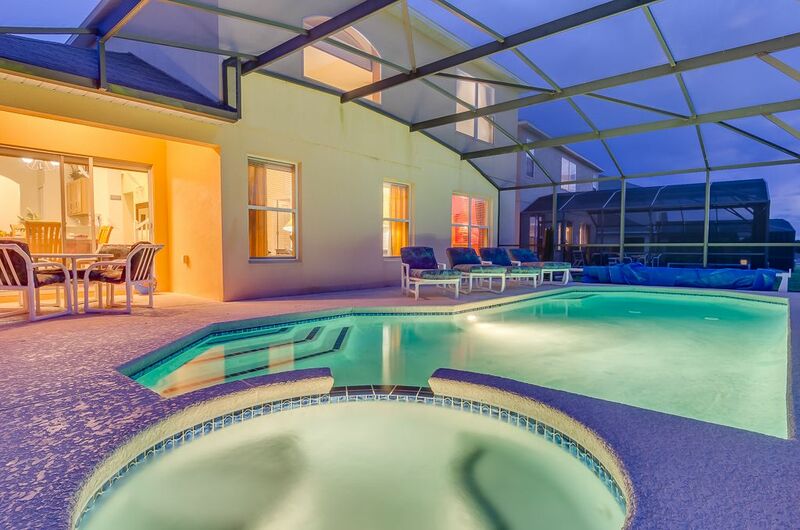 Outside you will find your own pool, spa and sundeck that is equipped with outdoor pool furniture. 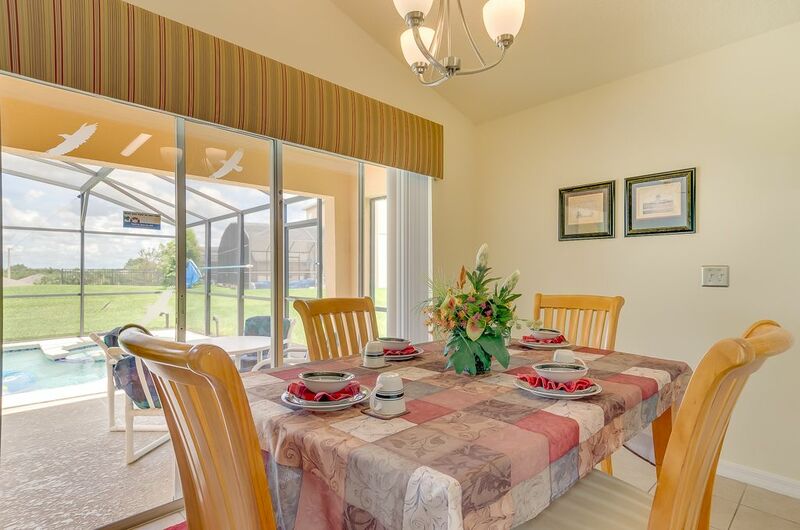 For those looking for some shade there is a covered lanai area to offer some respite from the sun. 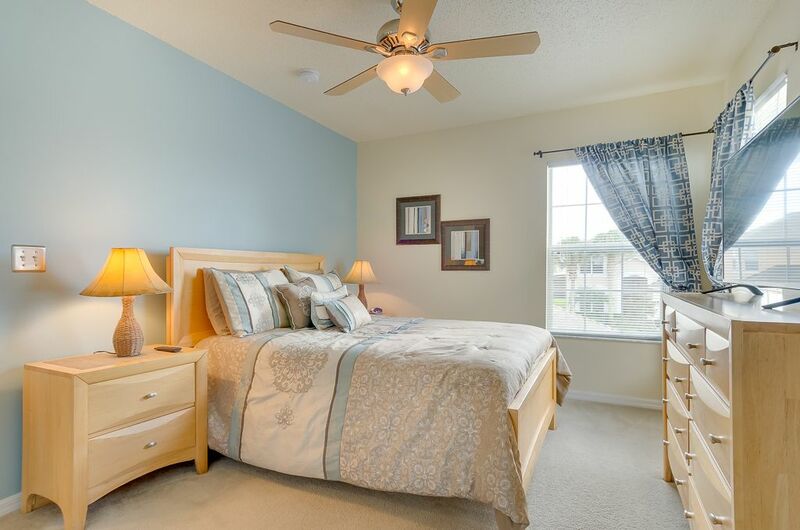 Emerald Island Resort is a popular gated community in the Orlando area. 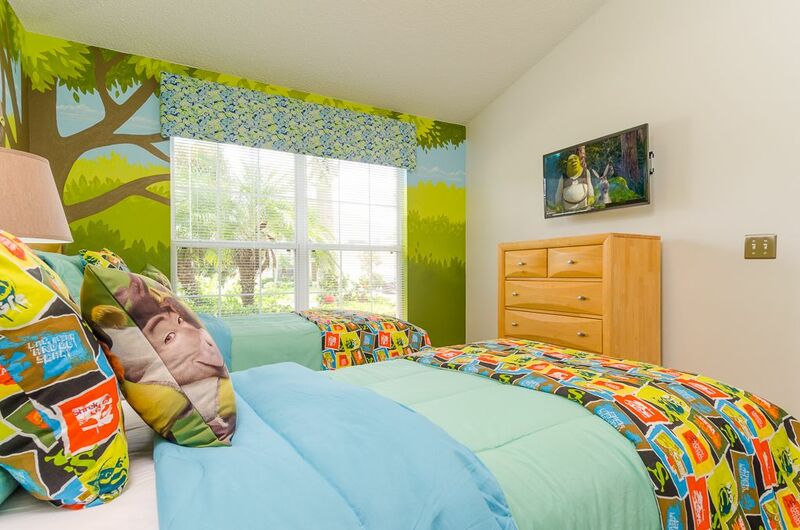 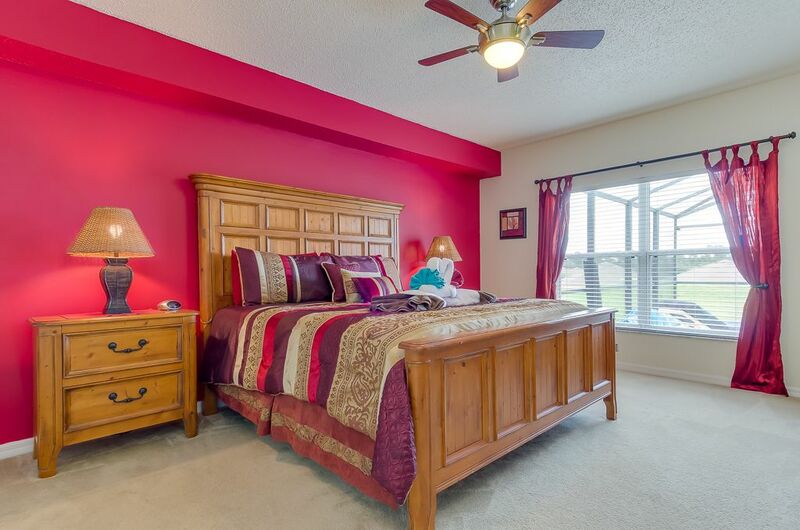 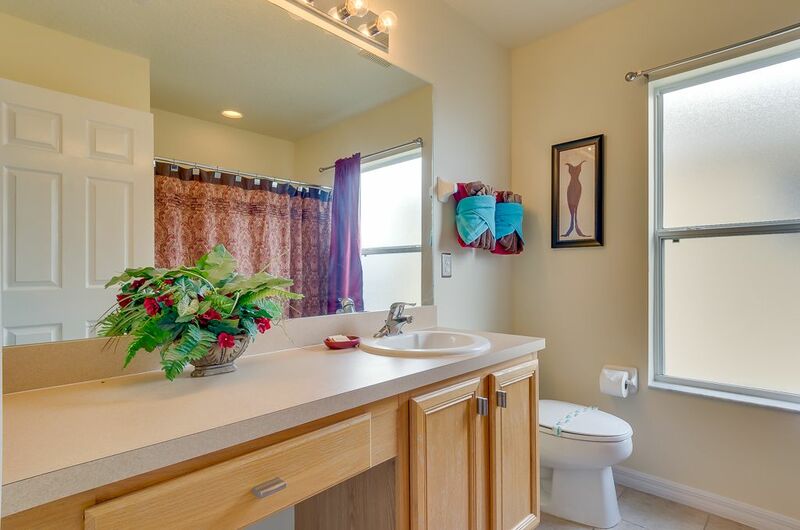 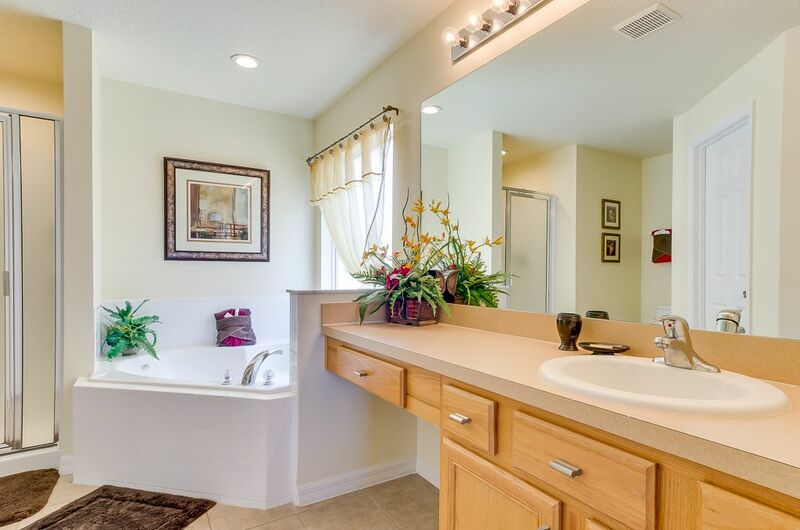 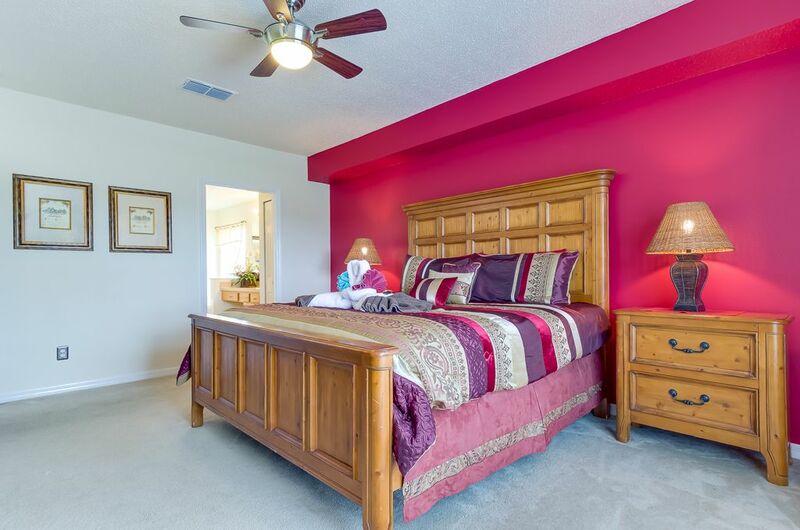 Perfect for families who want to be close to Disney and the popular highway 192, as well as those who want to use the resort as a base which provides easy access to the Florida attractions. 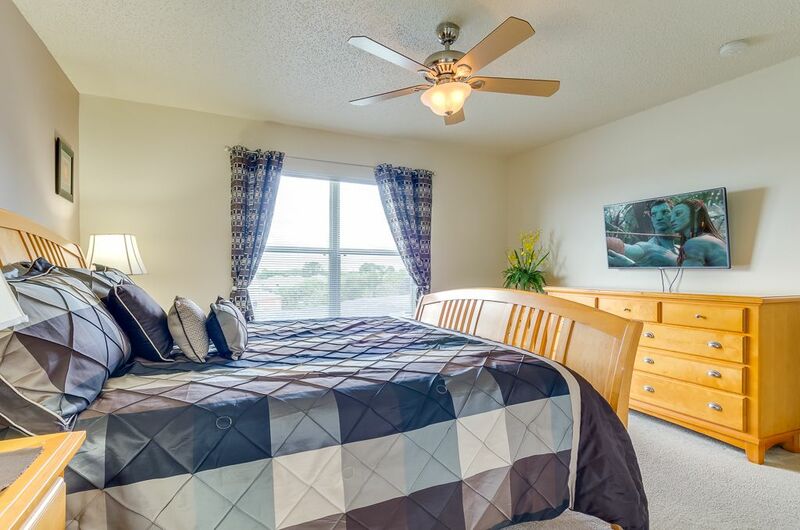 The community boasts a large range of on-site amenities. 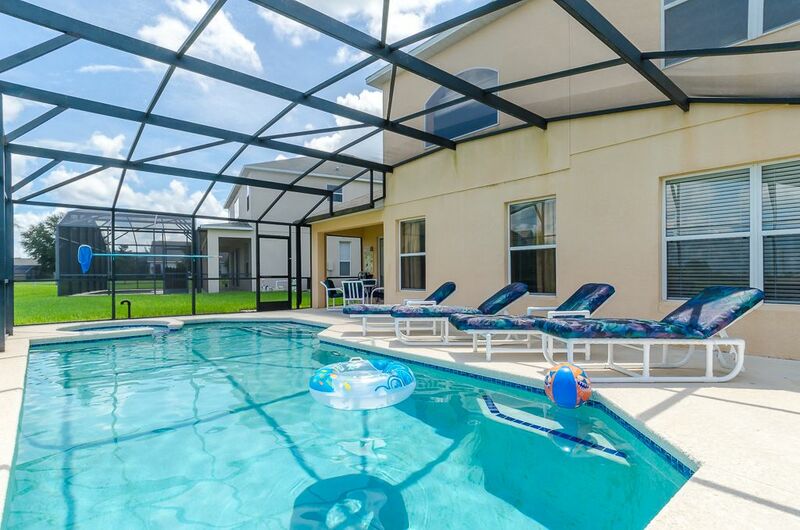 The impressive clubhouse boasts many facilities including a large communal pool with Jacuzzi and poolside tiki bar (subject to opening hours), sauna, steam room, cyber cafe, games arcade, snack bar, sundry shop and a children’s adventure playground. 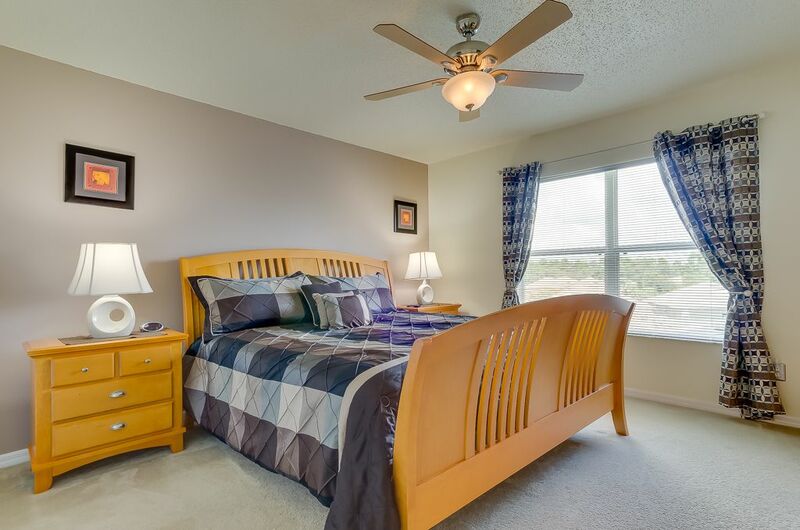 There is also a volleyball court, fitness centre and jogging track.